In early October of 2011 the Wayne family decided to auction the personal belongings of John Wayne. When I saw this auction advertised, I looked through the catalog and thought how much fun it would be to own some of these items from my childhood hero. I grew up a fan of John Wayne, in part because my Mom wanted to see any movie he was in, not that Dad wasn’t a fan too… Secondly, in my mind as a kid, I somehow saw a man very much like my Dad. My Dad was there everyday, a part of my life. So I knew he was no movie star or bigger than life hero. 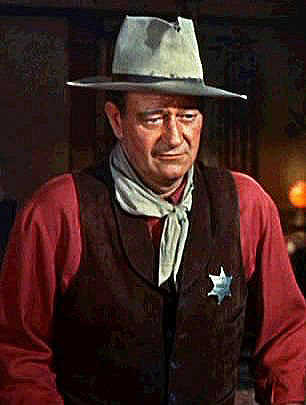 In the same way John Wayne’s characters were plausible as real men, they weren’t so far beyond reality that you had to cast reality aside to accept their actions. When I was about eight years old my parents divorced and I lived with my Mom as was the rule in those days. In hind sight this only made me crave my Dad’s time and attention more. 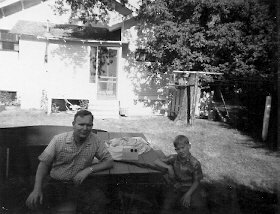 Secretly, when I saw a John Wayne movie I was sneaking time with my Dad in a way, that sort of thing works when you’re very young. 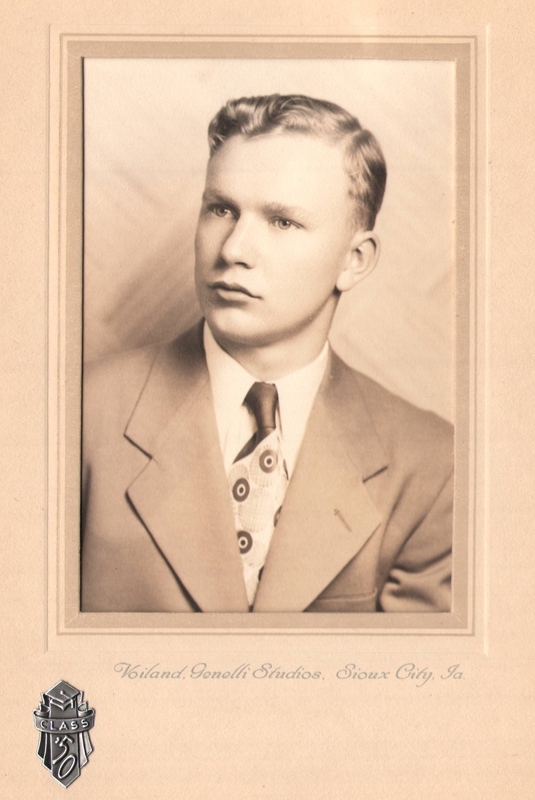 Dad was, like the Duke in many ways, a man’s man. His first career was as a farmer in Iowa. He loved the outdoors, he was a hunter, and a fisherman. Dad very seldom had anything negative to say about anyone. In fact he was one of the kindest and good natured people I have ever known. As I grew through my teen years I was living with my Mom and part of the time my Sister was with us. We spent a lot of time with my Mom’s friends who were mostly women. In many ways this experience shaped me in terms of my communication skills and behavior. But like most boys in their teens I desired to have a male as a mentor or example. My Dad was aware of this and when we were together he took pains to be available to me and talk about all the things Dads and Sons should discuss. When I headed to College I started off by going to business school. Shortly after I received my degree, I received my first corporate screwing. I decided right then and there I wanted no part of working at the mercy of others. Proof that it was all Dad’s fault, BB gun and all. not all together sure what that job entailed but I knew it would involve mechanical work and hands on activities. So, I did some checking and located some schools that taught gunsmithing. In short, that is how I ended up in my career. My interest in firearms started with my Dad teaching me to shoot a lever action Daisy BB gun when I was five or six years old. I suppose guns and John Wayne are a natural connection too. As a teen I subscribed to several gun magazines. I wanted to know more about guns and hunting so I could relate to my Dad about our shared interests. At the time it never occurred to me that my heroes were directing my choices. However, in hind sight, I can tell you that their influence on my childhood had everything to do with my choice of gunsmithing as a career. Working over the years I found myself with new people to admire. It was no longer with the naïveté of childhood but with respect for accomplishments and hard work. Wildcat cartridges became the focus of my work, almost by accident. When a business contact stated in his catalog that he saw me as a “young P.O. Ackley for the current generation” my interest in P.O. Ackley more than redoubled. P.O. Ackley’s career spanned fifty-three years his accomplishments are impressive. Ultimately, I spent several years researching my book on P.O. Ackley, only to be rewarded with a new hero. Here is a businessman and a true student of his craft. 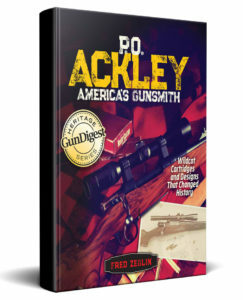 Ackley cared deeply about the influence he wielded through his writings and contacts, you will be pleasantly surprised just how much his work impacts the gun industry yet today. 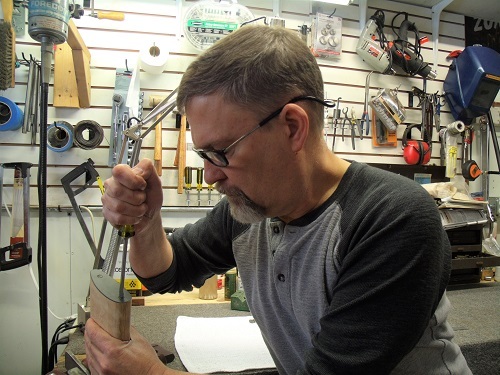 I invite you to learn about my gunsmith hero and his innumerable accomplishments.